Home » Blog » All Blog Posts » Paperwork Progress » Finally… Progress: Dossier Has Been Sent! It’s kind of hard to believe that exactly one year ago on our anniversary, July 1, Tommy and I were mourning our second miscarriage. Stunned, lifeless, angry, and so very sad. What in the world were we going to do now? We had just spent our last pennies on the second IVF procedure and read the most wonderful word “pregnant.” We were sure that our plans were finally coming together, but a few weeks later everything fell apart. What in the world were “we” going to do? “We” were not going to do anything. God was going to do EVERYTHING. He was going to change our thinking and desires to be more like HIS and not our own. Now, one short but incredible year later, we have watched God transform our lives. The joy and longing to adopt has become the biggest blessing we could have ever imagined. It wasn’t Plan B, it was always Plan A, we just needed God’s gentle hand of direction. We started the adoption process just 5 months ago. 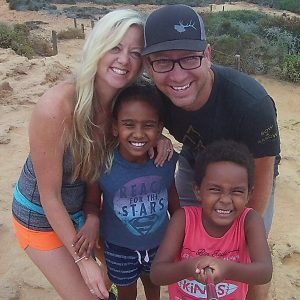 We officially turned in our application January 24, the homestudy application was turned in March 14, the I 600-A application was sent in April 25, and FINALLY after 2 long months of hearing no response, we received the I 171-H approval from immigration/visas on June 24. We are DELIGHTED to announce that we were able to mail all of the official documents required (dossier) on June 29 to Washington D.C. It officially arrived there July 1, once again on our anniversary, perhaps as God’s special love message and gift to us that He does work all things together for the good of those who love Him and have been called according to His purpose. (Not our purposes, but HIS). Is everything going to be just perfect now? Only God knows what lies ahead. Continually, we ask Him for a smooth process. The dossier will be reviewed carefully and sent by our agency soon to Ethiopia. We will then officially be on the waiting list for two children between 0-2 years old (2 boys or 1 boy/1 girl). We have no idea who they are or anything about them until we receive a referral, which could be anywhere between 6-12 months from now. What in the world do “we” do? Wait, pray, wait some more. We let God work, the way He always has and will. The babies will come not a minute too soon or too late than what God has intended! I am so touched by your commitment to wanting to be a mom and allowing God to lead you to the way… He only knows what’s best for you… you two are an amazing couple! Together you can move the world because of your dedication and not letting anything get in your way… congratulations! I am truly inspired by your story of how God transformed your thinking and all the while keeping up smiling and motivated in class and not even knowing what you were going through. When I started your class in 2007 I never thought it was for me to meet you and Tommy to be part of this wonderful time in your lives. Thank You Very Much and I look forward to when God brings your children home to you.